All but ignored by the legislature, and glad of it. 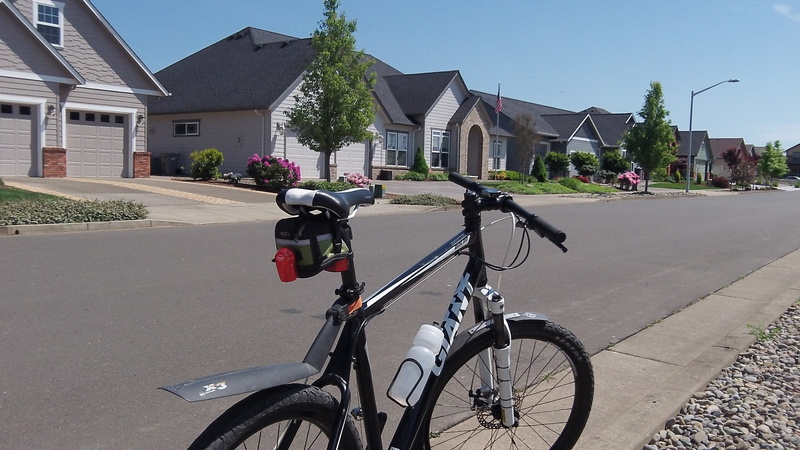 Oregon legislators didn’t give much thought to bicycles this session, and that’s all right. Given lawmakers’ drive to make ever more laws, being ignored by them is not a bad thing. The session in Salem is just about over, and it looks like bikes and their riders are being left pretty much alone. One bill that did make it into law and that will help is Senate Bill 533A. It allows motorcyclists and bicyclists to proceed through a stop light after waiting until it’s safe and the signal has not turned green. Almost by definition, this happens only when traffic is very light, and that’s when cyclists already do what the new law allows. So it’s no big deal, but a nice touch anyway. That brings us to House Bill 3255. It started out as requiring cyclists to wear reflective clothing when they’re riding after dark. Then it was amended to drop the garment rule and require instead that bicycles have a red taillight visible for 600 feet when visibility is low, and the House passed the bill 44-14. But before the Senate Business and Transportation Committee, a lawyer testified that this might require people to buy new taillights for about 2 million Oregon bikes, and in any case it wasn’t necessary because the law already requires either a taillight or a red rear reflector, along with seven other reflectors, when bikes are sold.